Our primary principle at Zero BS CRM is to be no-nonsense. We don't stop you getting data in or out of your CRM, we help you with it. 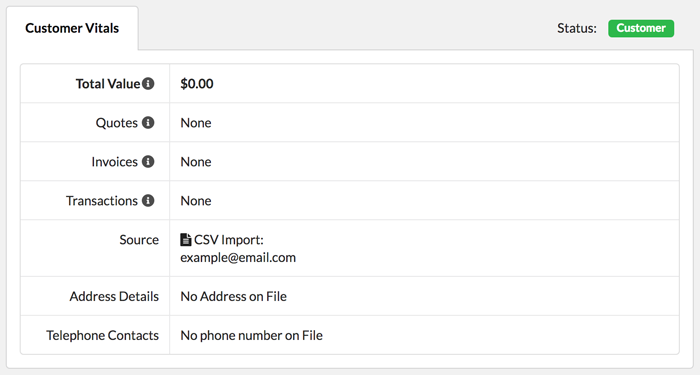 Built into the free core CRM is a basic, but powerful CSV file importer. Upload your .CSV file straight from your browser with 2 clicks! 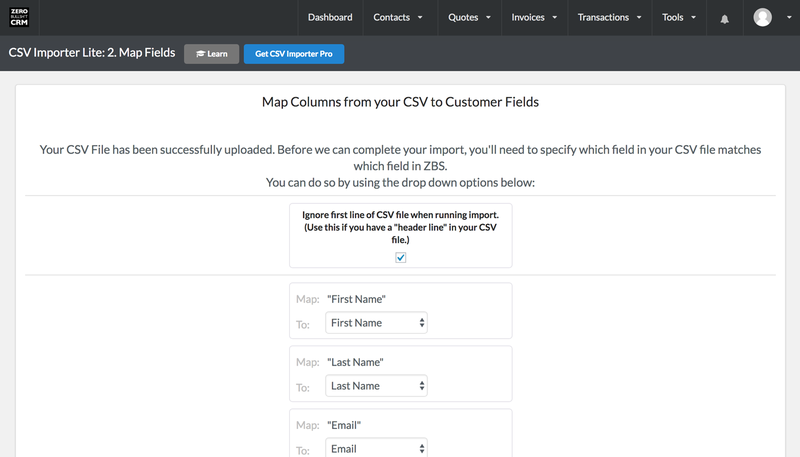 Easily import as many contact records as you need to via the CSV Importer. In just 4 steps have your contact data in and get on with your days business. 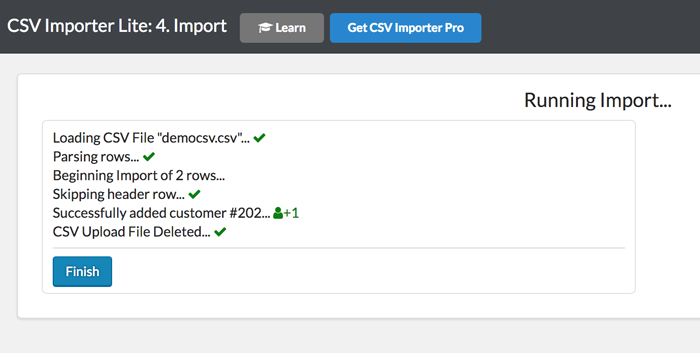 CSV Importing shouldn't be a 20 step process. It shouldn't take hours. It doesn't need to be 50 features deep. Our CSV Importer is refined down to the essentials, as you'd expect them. No-nonsense data import. Your imported contacts will retain a record of their external source via CSV file. This means you can easily see from the contact view where this contact 'came from' at any time. CSV Importer and CSV Importer PRO both support small and large CSV Imports, with resume functionality and paged imports (for very large files). CSV Importer PRO supports largest file-sizes.